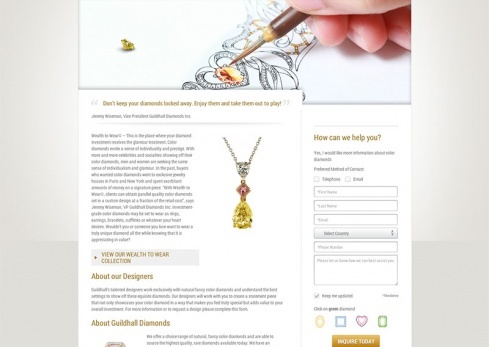 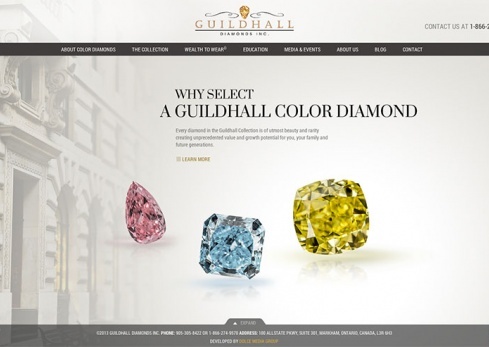 Web Design Store > Portfolio > Guildhall Diamonds Inc. 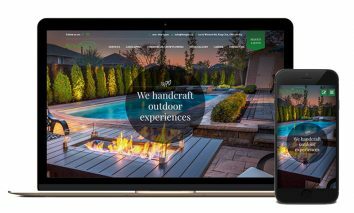 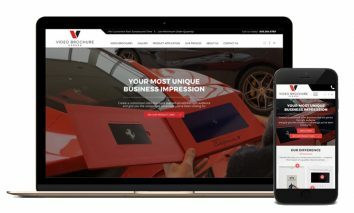 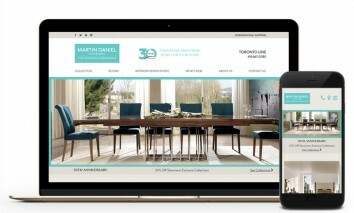 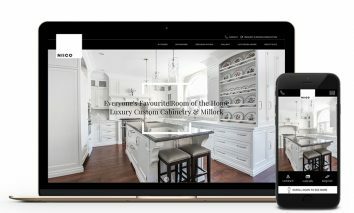 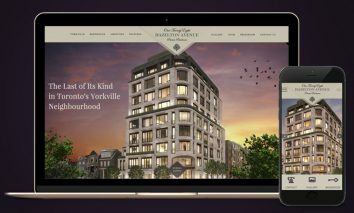 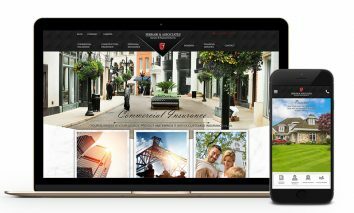 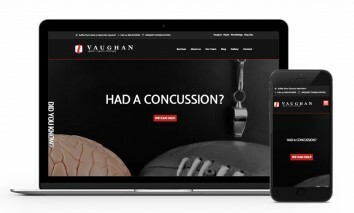 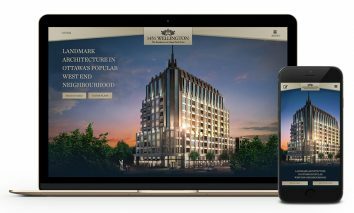 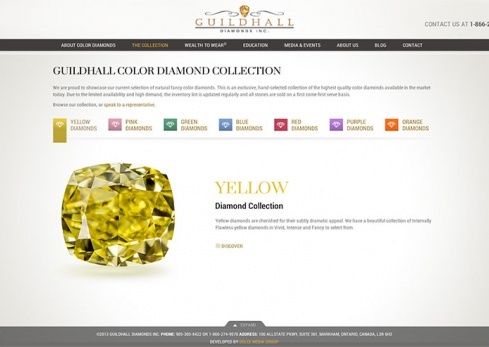 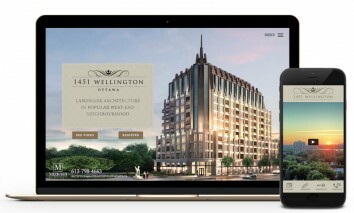 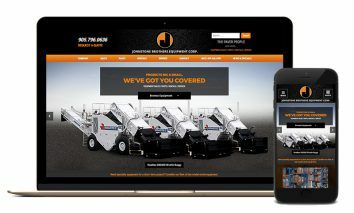 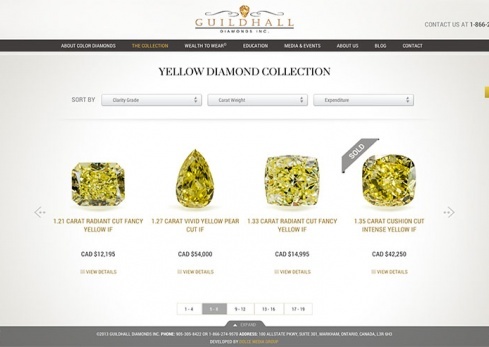 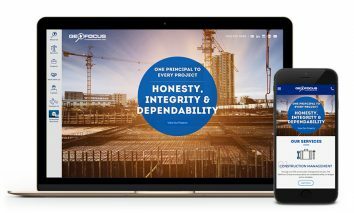 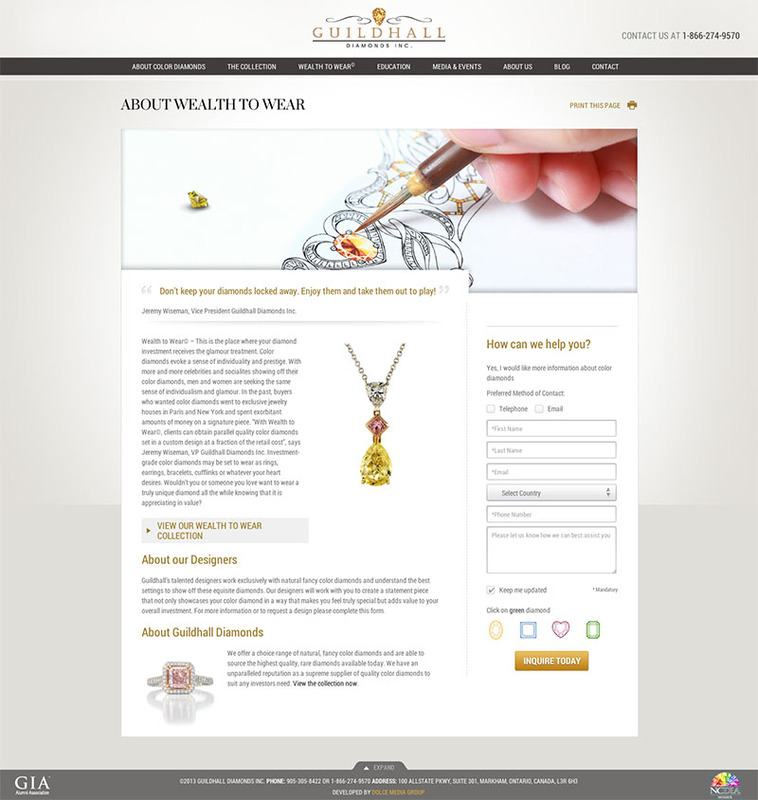 When Guildhall Diamonds Inc., one of North America’s leaders in the fancy coloured diamond industry, approached us to build them a better, more dynamic website, we entered the project with the goal of achieving them a superior online presence through larger, crisper visuals and an easy-to-navigate layout. 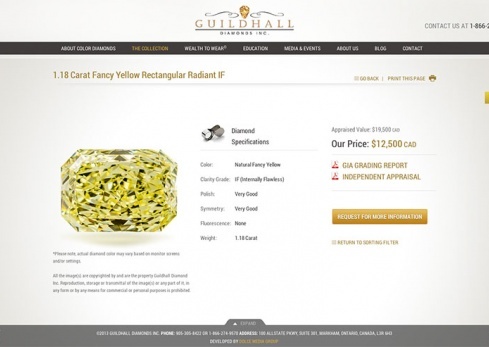 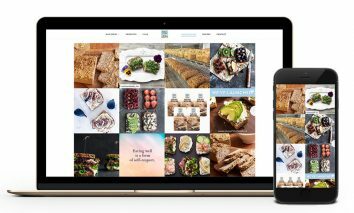 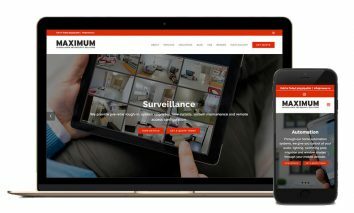 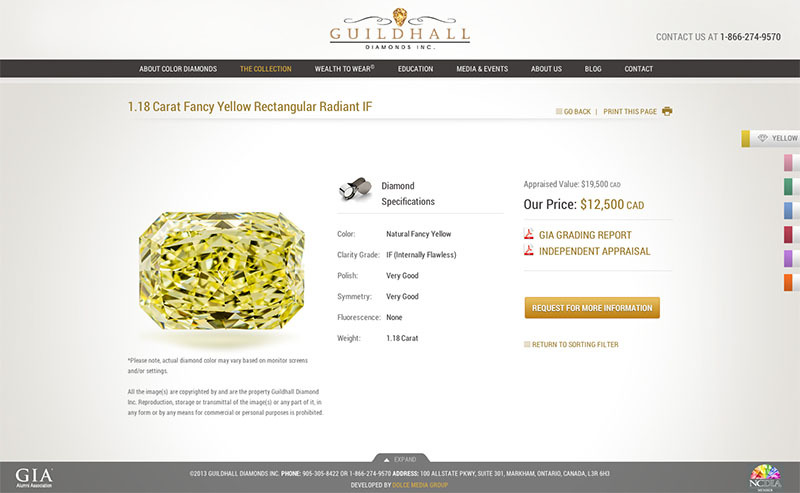 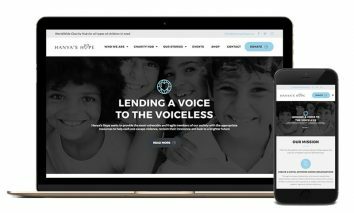 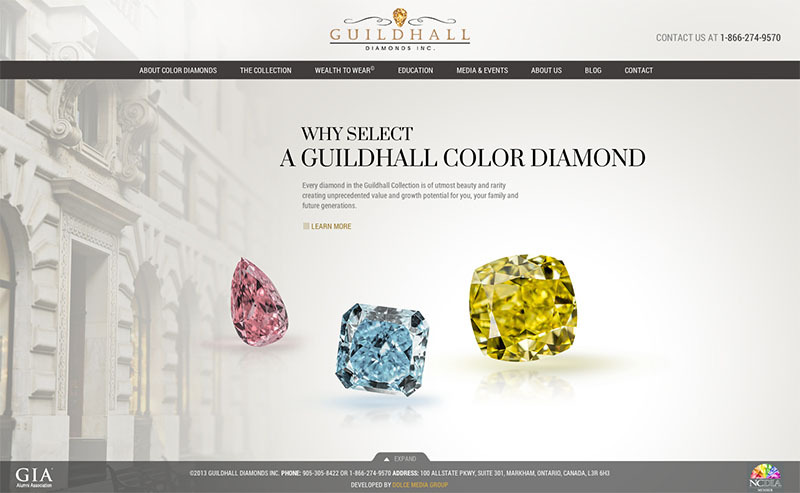 On the new GuildhallDiamonds.com, clients are brought that much closer to their purchase through engaging photography that puts them face-to-face with the product, as well as through a sorting feature that allows them to effortlessly find their ideal diamond. 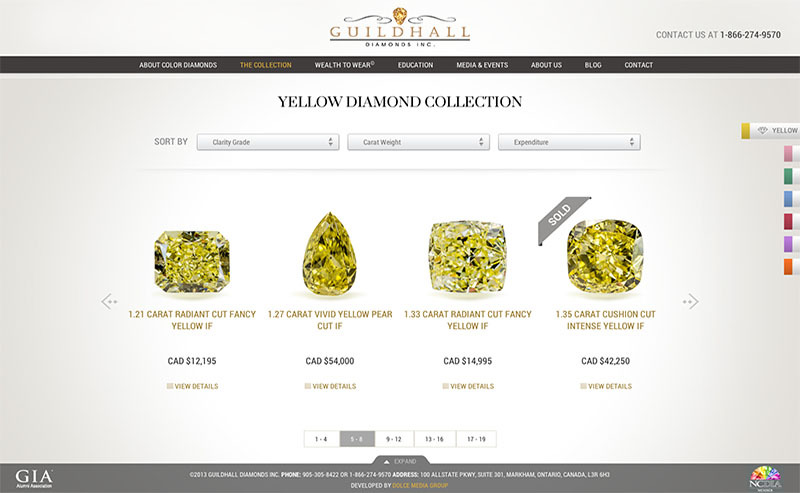 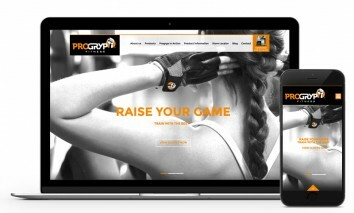 With a focus on keeping the client completely informed, this new site design also provides them with the ability to see which diamonds are in stock and which are currently sold out. 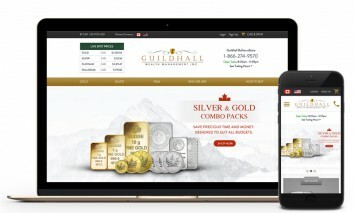 A variety of online forms are also available for clients to easily register for a one-on-one consultation with a Guildhall Diamonds Inc. representative. 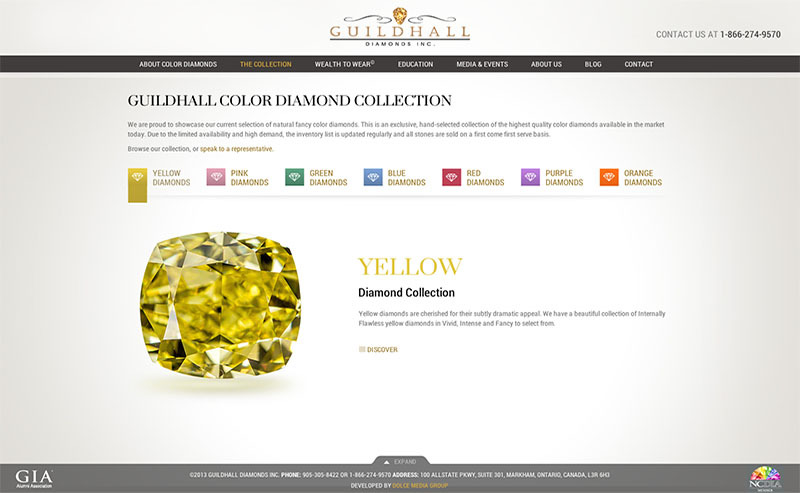 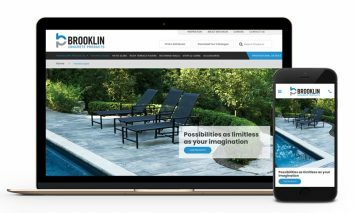 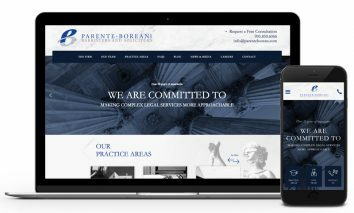 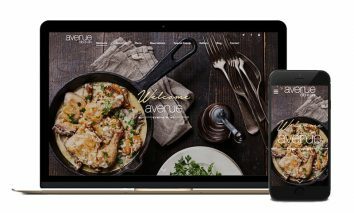 The Web Design Store is thrilled to present this state-of-the-art new website, the first in the diamond industry to offer clients such a clean and innovative introduction to their purchase.